They say patience is a virtue, but like temperance and chastity, it’s not much fun. Unfortunately, if you want to reach a state of true techstasy, you may need to repress your desire to buy a new gadget today and wait for the next version to come out. To be fair, sometimes now is the best time to buy a particular device and sometimes you drop your phone into a public toilet and have to replace it right away. But when you buy that 3G phone a month before its hot new 4G replacement comes out, you might as well buy an “I’m with stupid” t-shirt for your friends to wear when you go out together. Here are 10 products you’d be a fool to buy today. If you have your heart set on purchasing a new iPhone, don’t do it yet. Every rumor points to the arrival of a much-improved product arriving by fall. 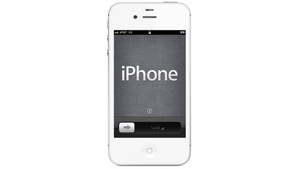 We don’t know what exact specs the iPhone 5 will have. We don’t even know if it’ll be called the iPhone 5(my money’s on “the Brand Spanking New iPhone”), but we can be pretty certain it will have 4G LTE, a faster processor, a better camera, and a larger and sharper screen. While four or five months may seem like a long time to wait, most iPhone owners are on two year phone contracts that usually won’t allow them to upgrade until after 20 months. Do you really want to spend 2013 being known as the loser who has to “take a grenade” with Siri’s older, slower moving sister while your friends cozy up to the new model? Let’s face the facts. If you want to buy a Windows 7 tablet, you’re either a multitouch masochist or a sadistic CTO, looking to pinch-zoom in on employee suffering. Though Windows 7 runs all the applications you could ever want, its touch-unfriendly interface makes it really difficult to use with adult-sized fingers. Ever try tapping the X widget to close a window? You’ll need to stick your index finger in a pencil sharpener first, so you can make sure it’s thin enough. Coming this fall, Windows 8 offers a very touch-friendly Metro UI and a host of touch-friendly apps on top of it. 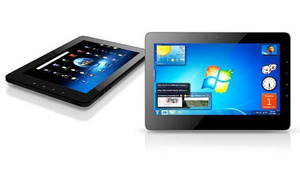 Even better, Windows 8 will run on ARM-based tablets, allowing for thinner, lighter and longer-lasting designs. A slew of new convertible notebooks that run Windows 8 will arrive in fall too. I can’t wait for the Lenovo IdeaPad Yoga, which bends its hinge back 180 degrees to become a slate. Even Kanye West would sit in his seat long enough to wait for Windows 8. The first generation of Ultrabooks — a new category of uberthin, fast-booting notebooks — arrived last fall with prominent entries from all the PC vendors. However, though notebooks like the ASUS Zenbook UX31 and Toshiba Portege Z835 have a lot going for them, a new generation of much-improved Ultrabookswill arrive this summer. These notebooks will sport Intel’s faster, more efficient 3rd generation Core Series processors (aka Ivy Bridge), and many will offer higher-resolution displays. A couple of models stand out to us. The ASUS ZenBook Prime will offer a generous 1920 x 1080 screen that will let you watch HD movies at their native resolution, while viewing more of your favorite web pages and documents without scrolling. Meanwhile, the Lenovo ThinkPad X1 Carbon could be the ultimate productivity notebook when it launches this summer. 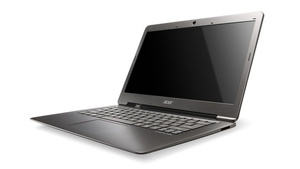 It will pack a gorgeous 14-inch, 1600 x 900 matte display into a .75-inch thick chassis that weighs just 3 pounds. Plus, you’ll get the industry’s best keyboard. Sprint likes to call itself “the Now Network,” but it really should be named “the Promise Network,” because right now all it is selling is the promise of 4G LTE at some point in the future. The carrier recently announced that it is dumping its mediocre 4G WiMAX networkin favor of LTE on new handsets. That’s the right move long-term, but it leaves current Sprint customers in a bind. 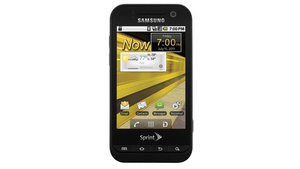 The company is selling 4G LTE phones such as the Samsung Galaxy Nexus and LG Viper 4G LTE, but they’ll only get a 3G signal until Sprint launches its new network. The carrier plans to roll out LTE this summer to just six cities — Atlanta, Baltimore, Dallas, Houston, Kansas City and San Antonio — with no ETA for other cities apart from 123 million people covered by the end of the year. Even if you live in one of the designated six markets, there’s no guarantee that Sprint’s implementation of LTE will be as fast as AT&T and Verizon’s; we just don’t know. Whether you are already a Sprint customer or are just thinking of becoming one, you should wait to see how quickly the company’s version of LTE is coming to your area and whether it actually lives up to the hype. You don’t want to buy that Evo 4G LTE today, only to be stuck with 2007-era 3G speeds while your friends on Verizon and AT&T are cruising along at 4G. If you have your heart set on an Apple MacBook Pro, tell your heart to go on without one for just a little longer. 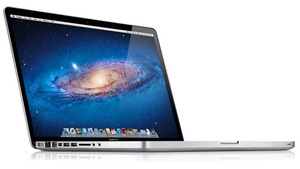 Everyone expects Apple to announce a new lineup of MacBook Pros in June and these new notebooks will reportedly weigh less, feature high-resolution “Retina” displays and provide USB 3.0 ports in addition to running Ivy Bridge CPUs. These notebooks will also be running Apple’s new OS X Mountain Lionsoftware, which brings more iPad-like functionality to Macs along with stronger security. Unless a pack of rabid Windows fanboys breaks into your house and smashes your current MacBook Pro with a Metro-UI styled hammer, you can hold on for another few weeks. The Retina display, which should show more content on the screen at once, is reason enough to wait. Apple enthusiasts don’t have anything to wait for when it comes to tablets. The “new” iPad just came out in March and has an incredible, high-res screen paired with a powerful processor. 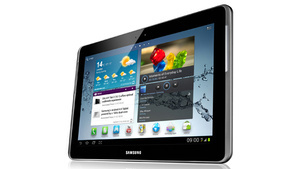 However, if you want to consider an Android tablet, now is not the time to buy. Though we’ve seen some speedy quad-core tablets like the ASUS Eee Pad Transformer Prime, we’re still waiting for Android tablet makers to come out with screens that have higher than 1280 x 800 resolution. Both ASUS and Acer have announced 1920 x 1200 tablets, but neither one has hit the market yet. If you plunk down $500 on a tablet now, you’ll feel silly when the new HD models arrive within the next couple of months. Apple can play coy all it wants, but many industry insiders believe that the Cupertino company plans to launch its own TV later this year. There’s no question that the Apple TV will have deep iTunes integration, a gorgeous screen (Apple is known for that) and some kind of Siri-based voice control. When it comes to launching new Smart TVs, Apple won’t be alone. 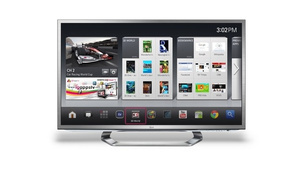 LG recently showed off its G2 Smart TV, which uses the Google TV 2.0 interface, supports voice commands and comes with a gesture-controlled “Magic” remote. Lenovo just began shipping its Android 4.0- powered K55 Smart TV in China and it may come here at some point as well. If you wait, the additional competition from these new products will force down prices on existing Smart TVs as well. The Nokia Lumia 900 has a gorgeous design and the HTC Titan II has an awesome 16-MP camera. However, when it comes to specs, apps and basic multitasking, Windows Phones still lag behind their Android and iPhone counterparts. 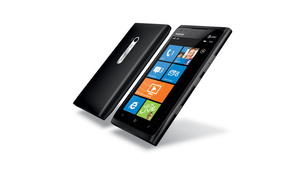 With Windows Phone 8 due out this fall, Microsoft could finally start to close the feature gap with Apple and Google. According to some reports, the new mobile operating system will support higher resolution screens, dual-core CPUs, NFC payments and apps that can control other apps, a necessity for true multitasking. Microsoft has issued some conflicting statements about whether current Windows Phones would get an OS upgrade so I wouldn’t count on the Lumia you buy today running Windows 8 tomorrow. If you’re attracted to Windows Phone, delay your purchase until fall. Otherwise, you’ll be living with a single-core, low-res handset for two years. There are several great eReader optionson the market right now, from the tablet-like Amazon Kindle Fire to the E Ink-powered Nook Simple Touch. 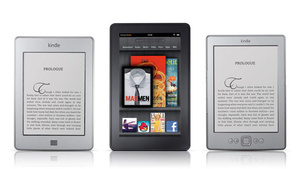 However, as strong as the eReader offerings are today, they’re about to get much better. Barnes & Noble just released its Simple Touch with GlowLight and rumor has it that Amazon is set to release its own backlit E Ink-based Kindle this summer. However, backlit E Ink is just the tip of this innovative ice berg. Expect Amazon to launch the second-generation Kindle Fire 2 this fall, complete with higher-res screen options and possibly larger form factors like 8.9 inches. Flush with investment money from Microsoft and not content to stand still, Barnes & Noble is sure to release a new Nook Tablet sometime later this year as well. We’d expect the next Nook to also have a higher resolution than 1024 x 600. There’s also a persistent rumor that Amazon will release Kindles using color E Ink later this year. We just reviewed the color E Ink-powered Ectaco Jetbook Color so the technology is already out there. How bad would you feel if you bought an old-school grayscale Kindle today, only to see one with a backlight or a color screen come out within a few months? Research in Motion, the company that makes Blackberry phones, seems to be stuck in a time warp, offering phones that have the best specs of 2009, including single-core 800-MHz CPUs, tiny 2.4-inch screens and an outmoded BlackBerry 7 OS. Fortunately, most people aren’t foolish enough to buy phones that you’d expect to find in the bargain bin at a garage sale rather than the shelf at a Verizon store. RIM seems to understand the problem too as it plans to release an entirely new line of phones running its new BlackBerry 10 OS later this year. The new touch-friendly BlackBerry London phone, complete with a bigger screen and faster processor than we’ve seen on a BlackBerry before, should arrive by fall. 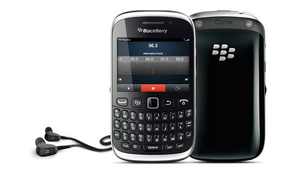 If you must have a BlackBerry, this is the one to wait for. Según Jason Heyes, arquitecto de soluciones de Microsoft, el llamado ‘Windows Next’ será ofrecido en 2012. En una presentación de Power Point, titulada ‘Desktop as a Service’ ha compartido ciertos datos acerca del nuevo sistema operativo de la compañía que confirman algunos detalles anteriormente esbozados. Windows 8 o Next dispondría de una tienda de aplicaciones, a falta de confirmación por parte de Microsoft. Este movimiento permitiría al sistema modernizarse y ponerse al día en las últimas tendencias que despuntan en movilidad. Los mercados de app ya están siendo adoptados por plataformas que no tienen nada que ver con dispositivos móviles, como Mac o ciertos fabricantes de hardware como Intel. Aunque quizá lo que más llame la atención sea el concepto de Desktop as a Service que enlaza con la tecnología de virtualización y con la prestación de servicios de cloud computing. El Software as a Service (SaaS) ya es algo muy extendido, sobre todo en el mercado profesional, donde las compañías se ahorran las licencias del producto y el mantenimiento a cambio de pagar una cuota periódica a un proveedor. La apuesta de Microsoft no parece orientada a que el usuario no pague por las licencias. La tecnología de virtualización que el nuevo Windows 8 desplegaría tendría relación con las aplicaciones y los datos, que serían gestionados de manera centralizada. De la misma forma el usuario podrá sincronizar su sistema con la tienda de aplicaciones y no tendrá que preocuparse por el mantenimiento ni las actualizaciones. “La premisa básica es que el usuario debe recibir el escritorio correcto y el software asociado, según sean sus necesidades particulares”, afirma Jason Heyes, quien también se refiere al hardware indicando que el escritorio “no debe estar asociado a un determinado dispositivo, el escritorio puede ser planteado como un portal que muestre las aplicaciones del usuario, sus datos, su estado”.